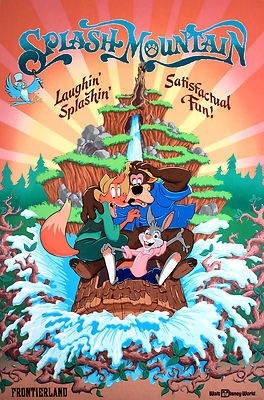 Themed around the Walt Disney 1946 classic "Song of the South", Splash Mountain has been a Disney favorite since its opening in October of 1992. 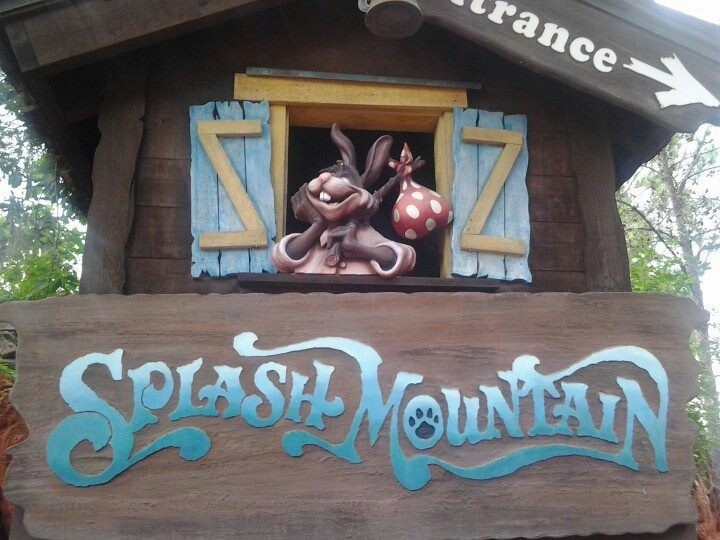 The extraordinary log flume attraction allows you to follow Brer Rabbit and his hare-brained antics as he makes his way to his "laughin' place". Along the way, he attempts to elude Brer Fox and Brer Bear through the logs and swamps, trying to avoid the dreaded Briar Patch. Following that inevitable plunge, you'll celebrate your emergence into the dazzling "showboat" finale. 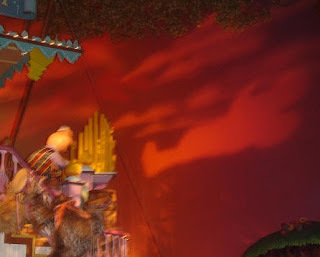 Splash Mountain is comprised of 60 ride vehicles (logs), seating eight guests each, with lap bar restraints. The structure itself is 87 feet tall, with the feature drop measuring 52.5 feet and 45º. Splash Mountain takes 10.5 minutes to wind through its 2,600 foot length, at a top speed of 40 mph, and it features a stomach-churning five drops. And keep in mind... that Brer Rabbit is a trickster! When the sign says "you MAY get wet", don't you believe it! Unless you're charmed by Tinkerbell herself, you'll be gettin' soaked, darlin'! 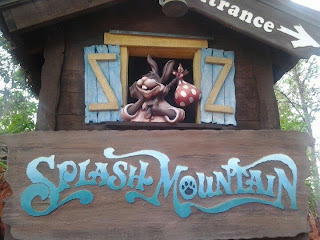 Although log flumes are theme park standards, the theming and show behind Splash Mountain are truly unique and over-the-top. A genuinely FUN attraction you'll want to ride again and again. Yep... Fastpass!! 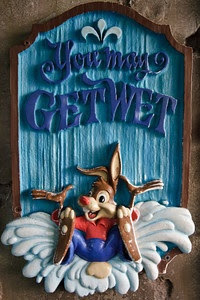 TIP: Splash Mountain is one of the most famed spots for on-ride photos! Be prepared for yours! The camera snaps just as your log begins to tip over the waterfall and into the briar patch. 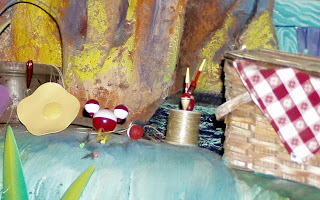 Can you find these Splash Mountain hidden Mickeys? 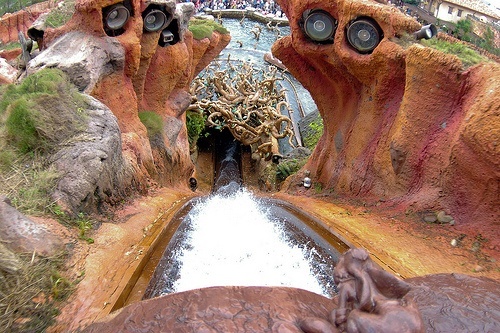 Experience Splash Mountain from the front seat! 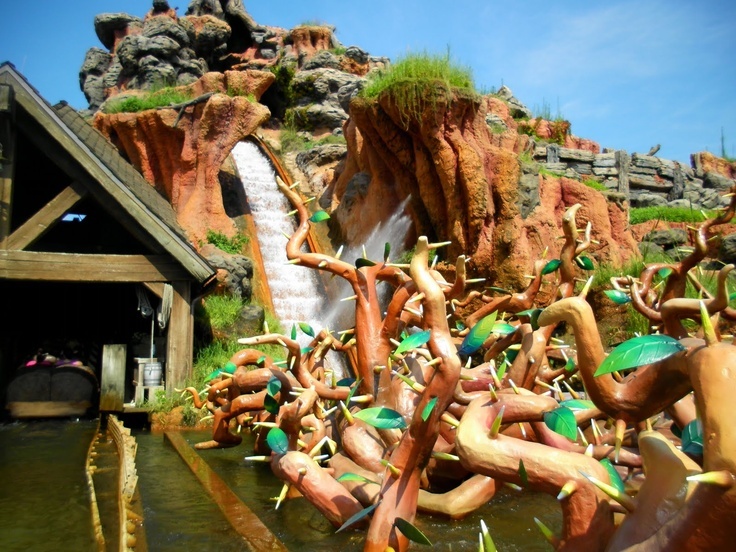 Then... enjoy this nostalgic look at the making of Splash Mountain!